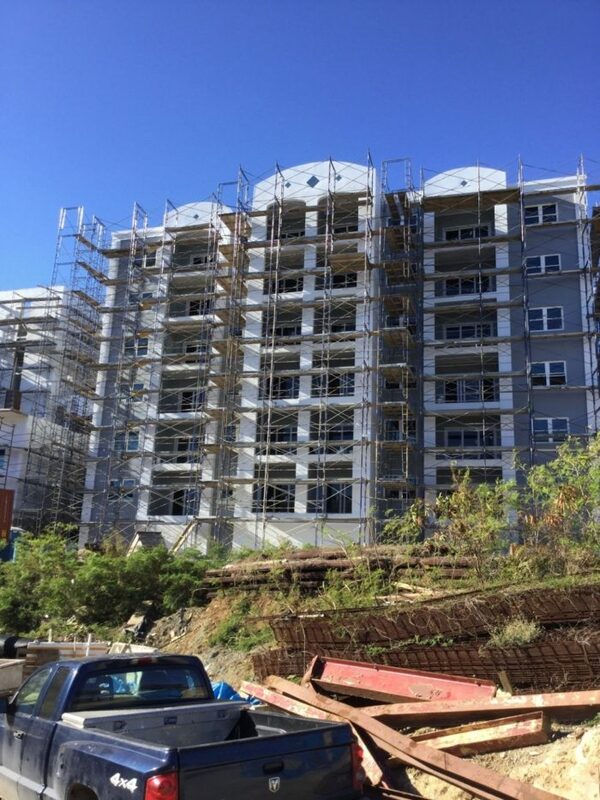 This six-story concrete building in the U.S. Virgin Islands is part of a mutifamily residential project. Magens Junction Apartments in St. Thomas will not be connected to the electricity grid. 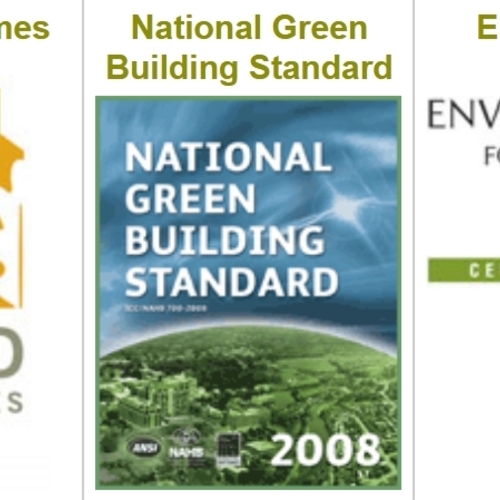 At , my green building certification and consulting business, we certify projects through LEED, National Lakesideca Standard, EarthCraft, Green Globes, and Enterprise Green Communities. Our work is primarily multifamily — both affordable housing and market-rate projects — as well as market-rate single-family homes. Most of our projects are standard low- and mid-rise apartment buildings of the type that are popping up everywhere. Although we are always looking for exciting, ground-breaking projects to work on, financial constraints keep most clients from pushing boundaries too far. I don’t mean to imply that the buildings aren’t well built and high-performance — they certainly are, especially as compared to standard construction. It’s just that our opportunity to work on truly cutting-edge high performance projects are few and far between. Interestingly, we find that affordable housing projects incorporate some of the best construction, primarily due to requirements that developers must meet to obtain the that help fund their projects. 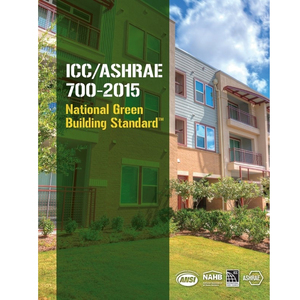 In many states, including Georgia, the LIHTC heavily incentivizes green building certification, so much so that every project funded through this program for the past several years has achieved green certification. Some of the more interesting projects we have worked on recently include the second , and my personal home, which I have written about extensively (and from which I learned that the best way to work on truly high-performance projects is to develop them yourself). However, not being professional developers, we rely on our clients to bring us projects to work on, and are dependent on them to make sustainability decisions. This all brings me to a recent project in St. Thomas. is a 48-unit affordable housing project using LIHTC funding. To secure the tax credits, this project must be green certified, and we were contacted to assist in the process. This project was an appealing one to work on for many reasons. Beyond the most obvious one — the opportunity for a couple of trips to the Virgin Islands for site inspections — the construction techniques are all new to me and the project is incorporating several interesting sustainable practices. The project consists of two poured concrete six-story buildings, connected with open walkways. There is no insulation in the walls, nor is there any heating or cooling in the units — not something we are used to seeing in new construction. Although hotels and stores in St. Thomas are often air-conditioned, many homes on the island rely on passive cooling through cross ventilation and ceiling fans. Expensive and unreliable power makes this a smart decision, particularly for low-income residents. We are certifying the project under the 2013 NGBS which has a tropical climate exemption for insulation and HVAC, based in part on a similar provision in the 2013 IECC. This option makes sense for projects such as this, which otherwise would not meet standard insulation and HVAC efficiency requirements. In addition to facing challenges with electric service, the project must address the fact that fresh water is a rare commodity in the area. Many buildings collect rainwater and reclaim greywater for reuse, and this project is no exception. The basement of each building contains two large cisterns, one each for rainwater and greywater. The greywater is treated and used for toilets and irrigation, and the rainwater, combined with well water that is purified through reverse osmosis, is stored for potable use in the units. The most interesting elements of the project concern electricity and hot water. The developer chose to keep this project completely off-grid to avoid problems from frequent power interruptions. This will be accomplished by a combination of propane-powered turbines and photovoltaic (PV) panels. In addition to electricity, the turbines produce hot water (from waste heat) which will be used to provide domestic hot water to the building. The project is essentially both a building and a water and power utility company. Each unit is separately metered for electricity and both hot and cold water, allowing for each unit to be billed for their actual power and water use. 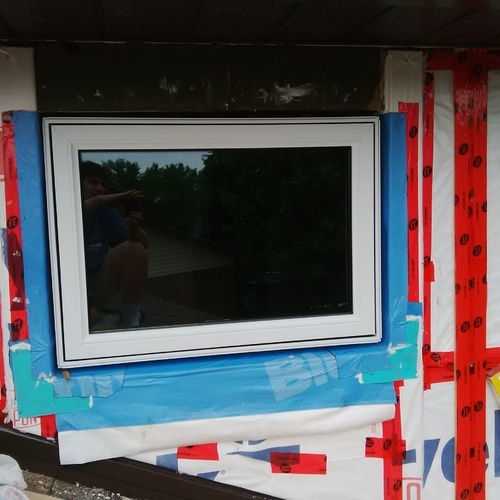 I have already visited the site for an initial inspection (a tough job, but someone has to do it) and we will be back for a final inspection when the project is complete to complete the certification process. 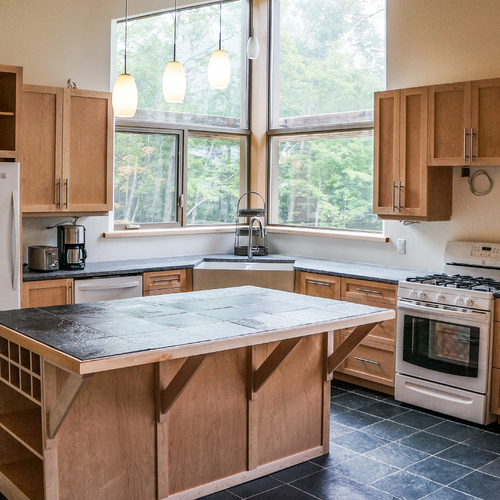 I’m looking forward to seeing the project complete and learning how it works as possibly the first off-grid affordable housing project in the U.S. I would think that additional PV and batteries would compare well to propane powered generators. Why is it necessary to use reverse osmosis filtration on well and rain water? Is the well water salty? If you are using reverse osmosis why not just use sea water? What percentage of the RO water is rejected as waste water 40%? What is the predicted residence cost per kilowatt hours going to be? Please do not be offended by me questions. They are not meant as criticism just someone that has not lived in this location trying to understand. Note that reverse osmosis with brackish well water is far more efficient (lower pressure) than RO with sea water. 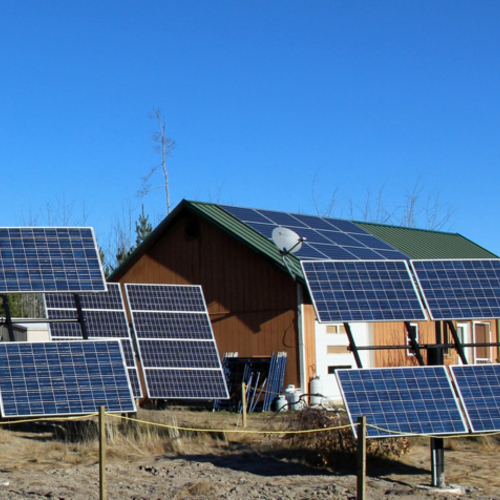 Can you comment on the battery backup system for the solar power please? I cannot imagine any reasonable budget for the battery backup system required for this size of building. Or do the residents not have any electrical power at night? Propane-powered turbines provide back up. Loads should be low since the units don't have HVAC. RE RO water purification -I am told that the well water can be salty, so it needs treatment. Combined with rainwater, that will meet all freshwater needs. I spent 6 months in a brand new LEED Platinum certified low income housing facility. In the end, it was one of the most unlivable apartments I've ever had the misfortune of renting. There were many problems but I'll comment on the high power bills. I blame LEED for those. They spec power efficient HVAC components and insulation, and the developers install them, but then there's no follow-through by LEED to ensure that the buildings actually deliver better than code performance. LEED doesn't know and doesn't want to know if the finished buildings perform well in any category they certify. There are a lot of ways good components can be badly implemented to waste power and my apartment facility found every one of them, I think. I'm assuming when you say "propane powered turbines" you mean generators. 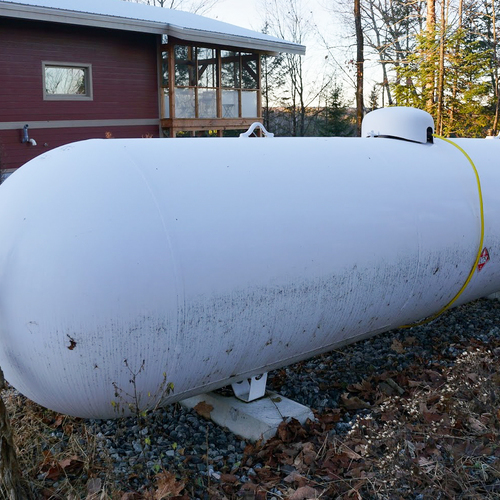 I can't imagine propane powered generators will be in any way economical, even without HVAC load. My prediction is eventually the developer will connect to the grid (when there is one). And I'm not up to speed on LEED sillyness (ouch), but surely propane fired generators must knock the heck out of that kind of certification? Seems like it would be a good test case for differential electric pricing - lower $/kwh when the sun is shining. Hopefully they are installing meters that can accommodate this. Not clear to me that at $.32/kwh for utility power, some mix of onsite PV and propane co-generation isn't cost effective, greener and more reliable. Apparently the utility also burns propane and while they do this more efficiently than smaller generators, I expect that they don't make use of the waste heat. My understanding is that they opted for their own power due to the cost of electricity and the unreliability of the island grid, something I experienced when half the islands power was out for 6 hours while I was there for my inspection. The certification is not affected by the source of power, and while the utility generators may be more efficient than the site ones, they are probably fairly close and the waste heat hot water production is an added benefit. 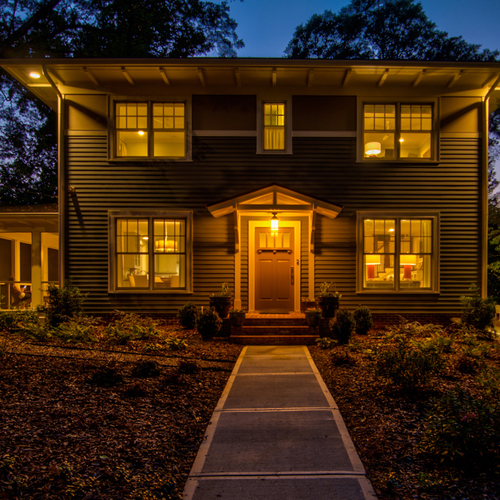 performance of your high performance home? Any surprises? John - My house is performing quite well. Energy use is low, averaging about $110 per month for all energy use including charging 2 cars. The only issue is high humidity during bridge seasons. I am installing a dehumidifier next week which should keep the RH under control without needing to turn on AC when temperature is moderate.